The activities of procuring goods and services, or known by the term Supply Chain Management (SCM) constitutes one of the end most points in the process of expenditure in various business activities. Approximately two thirds of operational cost in upstream oil and gas business activities is expended through SCM Function. Even though the term SCM has long been known, in reality in upstream oil and gas business activities there are some who committed common errors. There are those who interpret that just by management of purchase, transportation, warehousing, and then distribute goods/services to users in the field they feel that they have carried out SCM, whereas the series of activities mentioned above are only in-bound logistics and only a part of the SCM activities. A simple diagram given below illustrates the difference between activities of merely in-bound logistics and SCM. Since the majority of expenditures of a business activity is spent through SCM function, in modern time the SCM activity is not only regarded as merely a center of administration but also strategic and is made as a center of benefit that participates in determining loss and profit of a business activity. Therefore, in companies with advanced vision they positioned people of top notch category (having high qualification and professionalism) to execute this SCM function, so that besides able to carry out daily procurement they can also make various strategic planning and as think tank thus, they are expected to be capable of making various breakthroughs, which in the end could contribute optimal benefits to the company. Unfortunately, not all organizations or business activities have such an opinion. There are some who still have an old way of thinking in positioning their personnel in the SCM function. For example, they place people of marginal capacity without studying their qualification further; there are even those who make the SCM organization as a place of ‘exile’ for employees unfavored by the management. Of course, such a SCM organization is merely carrying out its activities in a business as usual way, minimal creativity and innovation. 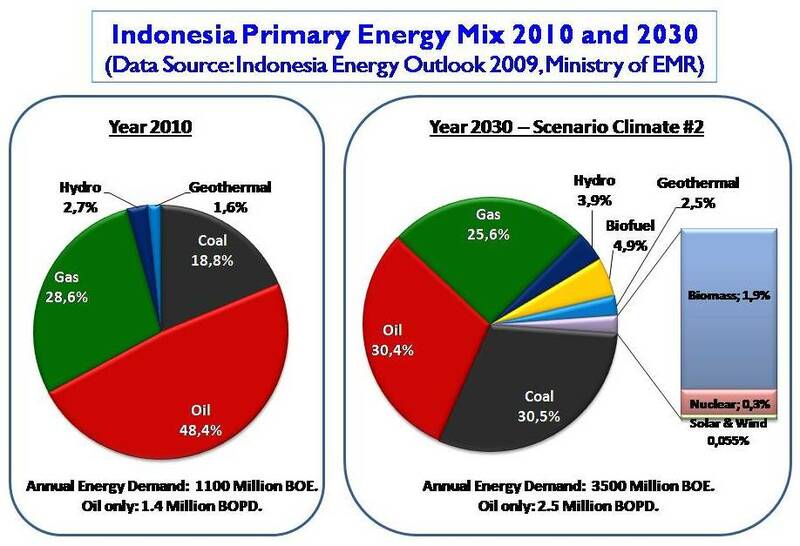 In various print and electronic media of 9 February 2011 edition there were reports that procurement in upstream oil and gas activities in 2010 booked a saving of US$ 96.5 million or equal to Rp 870 billion, greater than the economizing achieved in 2009 of US$ 61.9 million. Even though if it is compared to the value of Cost Recovery in 2010—which according to provisional calculation was US$ 11.95 billion (Petrominer, January 2011)—said value of economizing was less than one percent, but those in the SCM Function who were active in various activities of working groups deserve our appreciation, considering basically SCM Function is indeed not in a position to economize in a big portion like the Engineering and Project Management functions. First, cost of Cost Recovery unit (US$ per BOE) which tends to increase in the past years often spotlighted and criticized by outsiders (even not seldom that the criticism has the impression of ‘sarcasm’), although in fact it could be explained from the technical, geological and economic aspects. To this end, people of SCM are also demanded to economize operational costs through strategic procurement and effective and efficient material management. Various breakthroughs and synergy among SCM Functions are required to enhance added value of procuring goods and services. Various rifts and opportunities must be searched for so as to be able to economize more extensively. Economizing in procurement per year currently recorded is just around one percent of the cost of annual Cost Recovery of upstream oil and gas business activities. If the synergy of SCM Function among contractors could book just three percent of Cost Recovery or of the annual realization of investment of the oil and gas sector, an economizing value of over US$ 300 million per year could be gained. 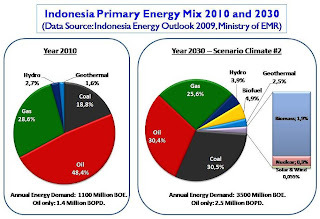 Secondly, considering the oil and gas fields which today are mostly brown fields located in the western part of Indonesia with increasingly diminishing reserves and have entered the phase of natural decline of production, it is therefore predicted that the coming upstream oil and gas activities will be dominated by offshore activities and more and more toward the eastern part of Indone-sia and even to frontier areas. The future trend of upstream oil and gas business activities toward offshore and more and more toward the east—with deeper waters—will give rise to a more capital intensive, technology intensive and high risk upstream oil and gas business activities. This will create greater challenges to national capacity and empowerment. If SCM Function does not use strategic thinking, it may be possible the achievement of local content in the coming years to decline, instead of reaching the blue print target of local content of 70 percent by 2014 and 91 percent by 2025. Third, the role of oil and gas in the primary energy mix simultaneously as contributor to the state foreign exchange is still very dominant—even until the next 20 years; thereby stakeholders—particularly active players—in the upstream oil and gas business activities are demanded as maximum as possible to maintain at the same time increase production from the current rate. In 2011 the government pegs the target of oil lifting at 970 thousand barrel per day (a rise from that in 2010 of 965 thousand barrel per day) and gas at 7769 mmscfd (slightly up from the target in 2010 of 7758 mmscfd). Certainly, the people of SCM in the upstream oil and gas business activities also should make efforts to support as maximal as possible so that the targets of project completion could be on time, thereby SCM Function has an active role in the achievement of production target and national oil and gas revenue. Fourth, last but not least, it is necessary to remember that SCM Function should change the paradigm of business process from ‘a mere’ postman or center of administration to a center of competitive advantage and center of excellence, bearing in mind about two thirds of budget is spent through SCM Function. It is necessary for SCM Function to consistently making efforts for continuous improvement so as to keep on providing added value to upstream oil and gas business activities in particular and, to the Indonesian people in general. DISCLAIMER: This article is the writer’s sole opinion. Not intended to reﬂect any opinion or policy of the agency where the writer currently works for.